Those glass ornaments above are filled with flowers! 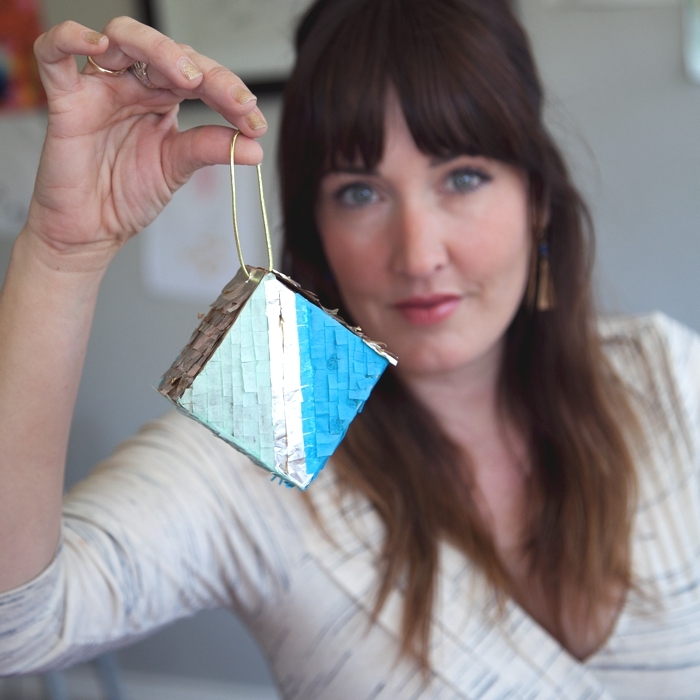 They are so fun and easy to make, and they m ake a big impact. Customize them for someone you love with their favorite flower. 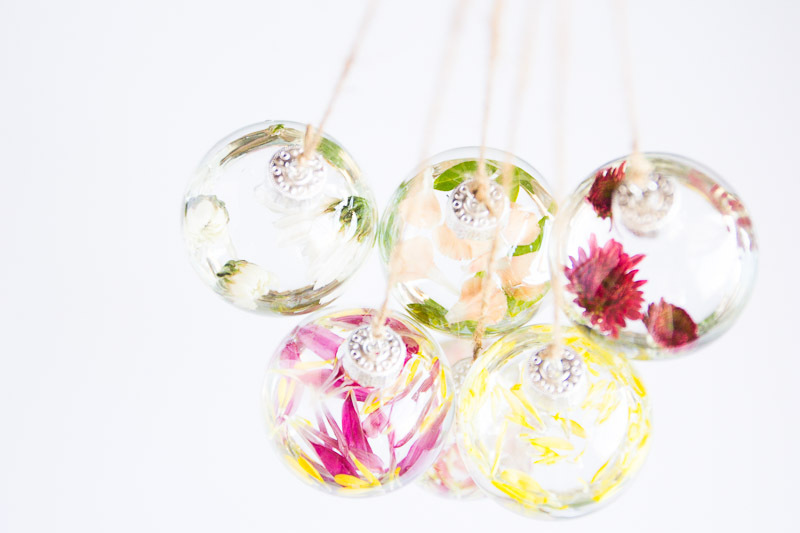 Get our DIY tricks so you don’t just shove a bunch of flowers in there with random results: DIY Glass Vase Ornaments. 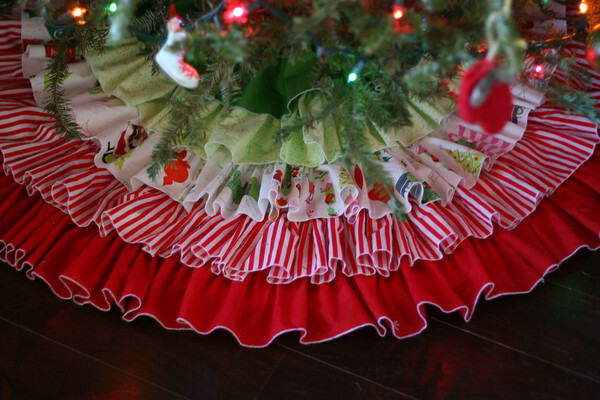 Make Jacinda’s beautiful, simple DIY Ruffled Tree Skirt. 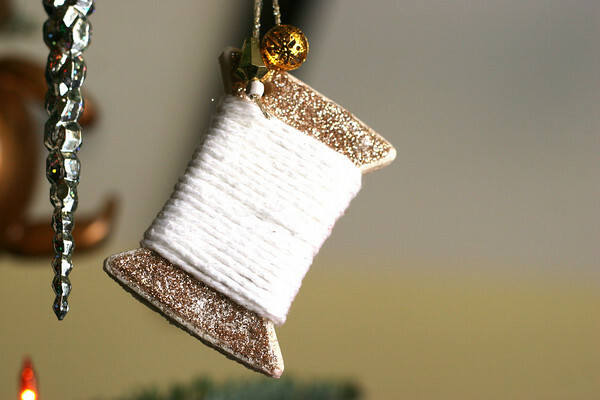 Or go super-simple and make our almost no-sew DIY Felt Fringe Christmas Tree Skirt. 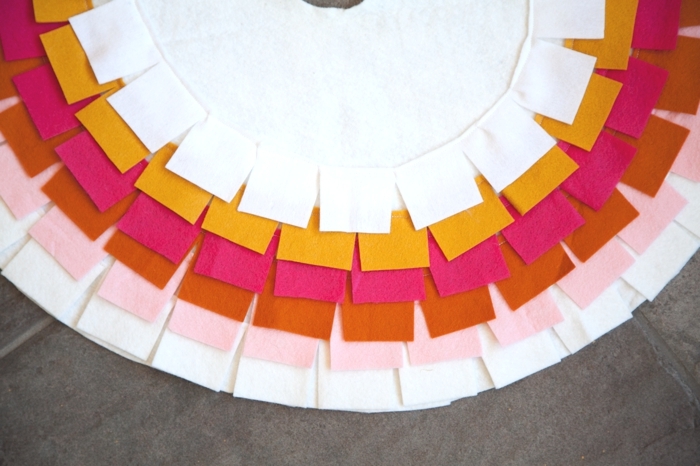 Make our DIY Pinata Style Tissue Fringe Ornaments. These were so fun when Jacinda and I spent a weekend in Dallas making them together for our Michael’s Dream Tree Challenge: The Pine-ata. 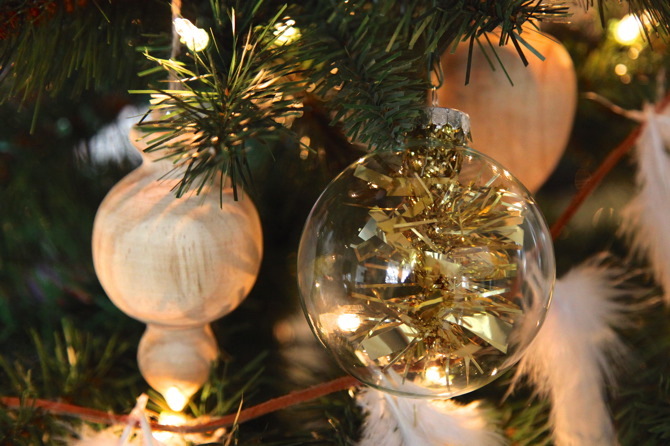 Whip up some tinsel ornaments. These are easy-peasy and full of glittery goodness. 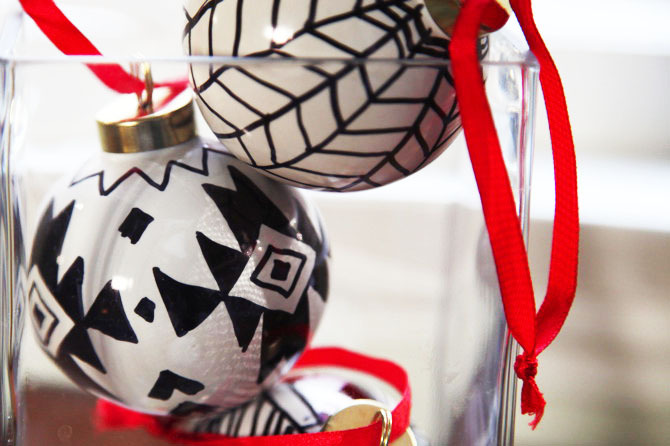 Grab some paint and some glass orbs and make our DIY Paint Ornaments. Nothing could be simpler, and they are pretty pretty. 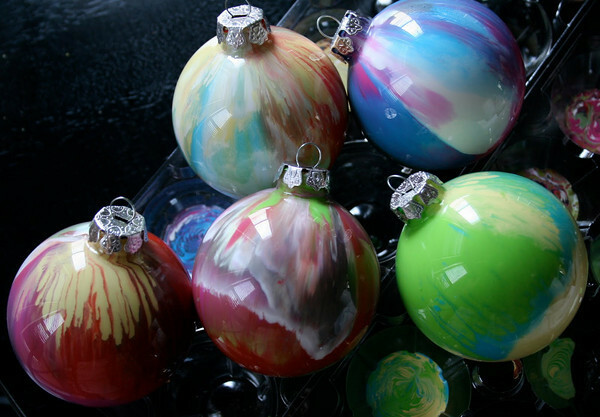 The most fun for the littles is making up some dough and crafting your own Salt Dough Ornaments. It’s not as messy as it sounds, we promise. 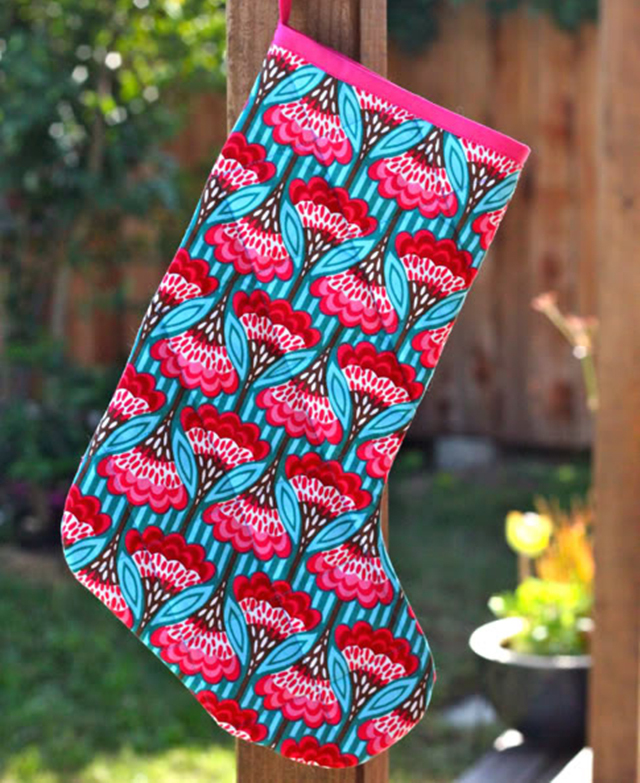 Make some stocking to hang by the tree! We have a whole round up of DIY Christmas Stockings, from easiest-stocking-ever to deep-sewing-mode. Wow! The dough ornament?! Seriously, super cute! Thanks for this collection of tutorials!